Upon arriving you are immersed into an incomparably lush escape that is within walking distance to local artisan shops, restaurants and sites the village offers; no car, taxi, or golf cart necessary. Below are our recommendations for Breakfast, Lunch and Dinner. After enjoying your in-room cup of morning coffee, choose whether to take a leisurely toes in sand stroll for breakfast or a sidewalk wander to see the locals bustling around to start their day. The First Lady’s top picks will guide you through the best experiences from local to international, casual to upscale. Let’s start with some local delicacies at Wendy’s Creole Restaurant. The hot fry jacks go well with fried beans and stewed chicken or fried fish. This Belizean breakfast is as creole as it gets! The consistently delicious breakfast includes eggs (any style) with several side options to choose from. They also have great to go choices such as breakfast sandwiches, stuffed jacks, and breakfast burritos if you are in the mood to get a quick bite and explore the nearby local shops. Another great way to start the day is with our neighbours at De’Tatch. The quicker you get your toes in the sand, the better! Enjoy a yogurt with granola or a fruit plate if you are looking for something lighter. But their hearty Belizean breakfast with fluffy fry jacks is a must try! There are also options such as omelettes and fully loaded breakfast burrito. International breakfasts such as banana pancakes, waffles and french toast are all great choices too. 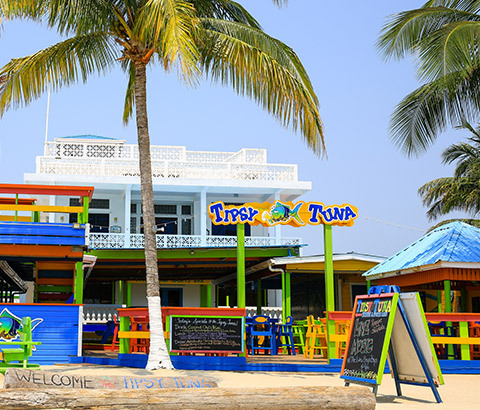 Lunch in Placencia is very “beachy”… well it is a peninsula with one of the best beaches in Belize! Fuel your afternoon with lunch at Tipsy Tuna Seaside Restaurant & Sports Bar. 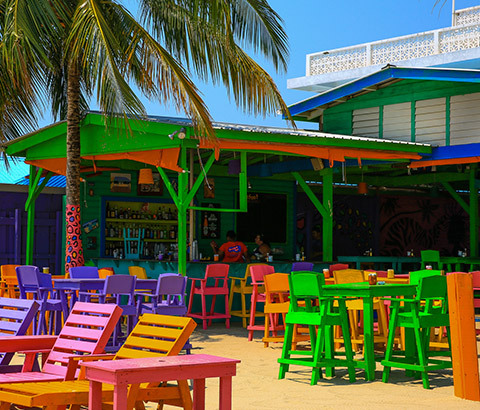 This colourful restaurant and bar cannot be missed as its brightness pops with its inviting beach chairs and umbrellas. Try their ceviche, wings and pizzas for a burst of flavour. Pair with an ice cold local Belikin beer and the beach vibe will be completed! 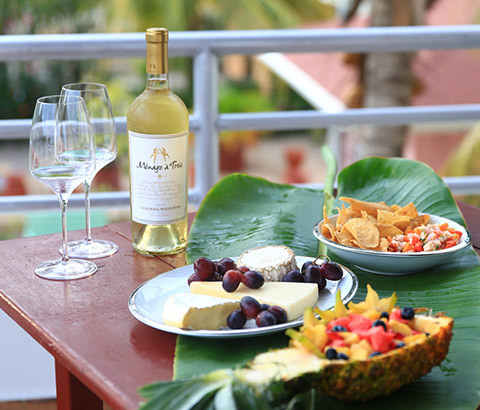 Barefoot Bar serves up Caribbean and international plates such as grande enchilada, a great lobster grilled cheese (seasonal), a Caribbean burger and smoked fish dip to enjoy; depending on the season you can get breadfruit or plantain ships as sides! 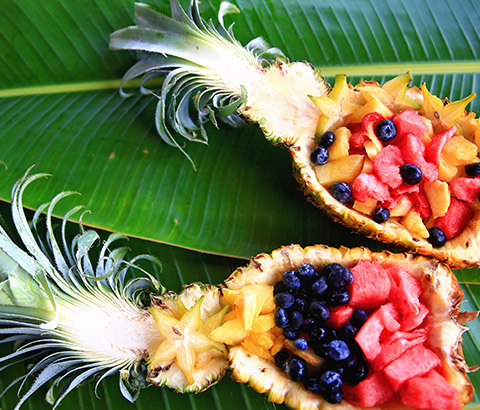 Pair this with great music and drinks and you’re in a Caribbean vacation paradise. Located on the beachfront less than three minutes from the Ellysian, be sure to join them at least once for a scrumptious lunch and mingle with the locals who enjoys this cool beach bar. Another beach front restaurant, because can there ever be enough? This is Spanish food with a Belize touch producing amazing fajitas, fish tacos and chicken fried steak. Other beach friendly foods such as chicken burgers, burritos and fried chicken are tasty as well. The free wifi and friendly staff are always there to ensure you have a great time. Dawn’s Grill serves up a succulent selection of seafood and creole cuisine. Be sure to try the curry shrimp or rice and beans with grilled lobster. Steaks, chicken, and fish all with a variety of sides make this a must for local night time cuisine. This hidden gem sits through a walkway from the main street. This out-door dining restaurant is excellent for its vegetarian and pasta dishes. Be sure to try specialities such as seafood gumbo and to die for desserts. The restaurants has a great selection of wines and speciality drinks to pair with food choices. Located on the main street in the village, this upscale restaurant has a variety of American, Caribbean and Seafood dishes. The lobster linguine, coffee rubbed fish and conch steak are all excellent dinner choices. The name says it all! It’s extensive wine list and spunky drinks gives this eatery a one of a kind experience in the village. Francis Ford Coppola’s property on the Placencia Peninsula is called the Turtle Inn. This is home to Mare Restaurant which features traditional Italian cooking and fresh seafood dishes with vegetables from its organic garden. This is not just dinner, but rather, an experience. Whether its pizzas from a wood-burning oven or specialties on Monday and Thursday nights, to a Dutch Indonesian Rijsttafel dinner, it’s all enjoyed under a thatched roof in the soft Caribbean breeze.